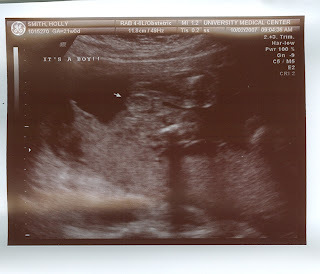 Derrick and Holly's Big Adventure: AKA LIFE: It's a BOY!!! The great question has been answered: we are having a boy! 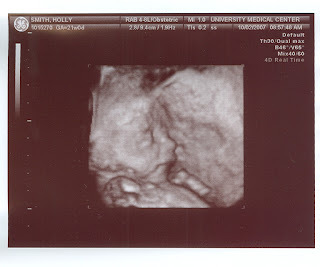 This picture shows his feet (at the top they are pointing in opposite directions)! This is a picture of his skull. You can see his eye sockets and nose. If you look closely, you can see his hand to the upper-left of his head. Technology is amazing! 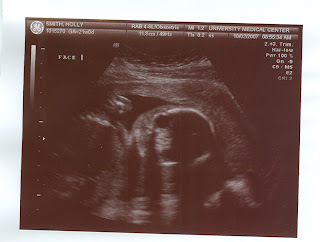 This is the face of our baby boy! You can see his ear, nose, mouth, and eyes. Looks good-looking to me! 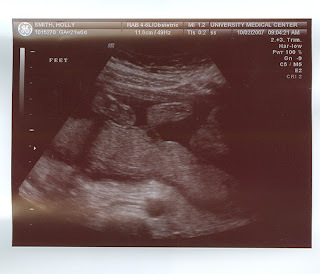 The sonographer said everything looked great. The body was forming normally and he is a good size for this stage (14 ounces)! Holly is doing well, still growing daily! I will post a picture of her soon! 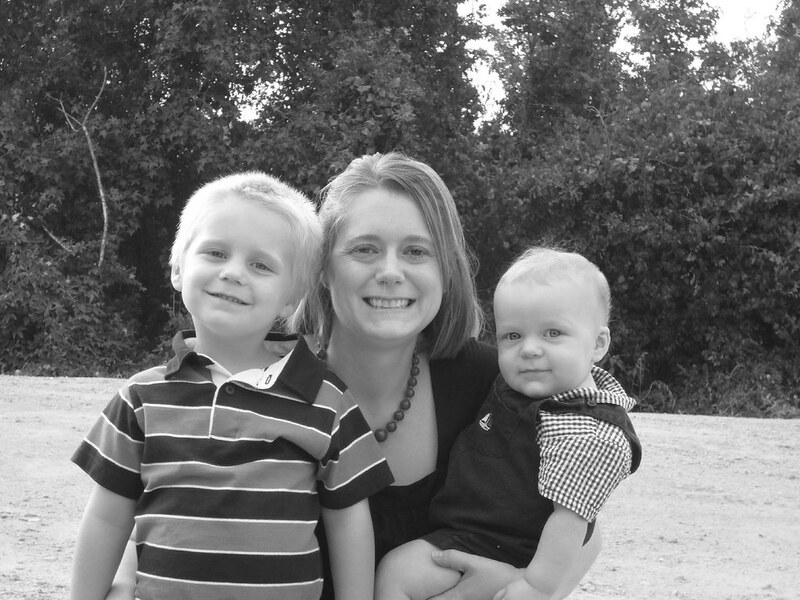 We continue to plead for your prayers for Holly, the baby, and our future as graduation approaches. Take care! Congratulations! It's Leah from Faulkner...haven't seen you in years! Found your blog from Teale's! Boys are great! I have 2 boys and a little girl, and we're done! Hope your wife continues to feel better. Hope it's ok if I check in with guys occasionally!! Hey Derrick!! Just found you through Leah's blog and wanted to say congrats! Glad I found you, it has been a while since we caught up! David has a blog, but since he started his new job he never adds to it. Stay in touch!! Oh and glad Holly is over the nausea! I am in my 15th week and it is still horrible.